The Kotel. The Western Wall. The Wailing Wall. It is mine. It belongs to me. It has been mine since I was 16 years old when I first came to Israel. I came with a Conservative youth group and we walked into the open plaza that looked like it had been there forever. I never realized until recently, that it has only been there 10 years. It was 1977. I was in Israel, but not as it was supposed to happen. I was supposed to come with my grandfather. He promised me that he would take me and we talked about the places we would go and what we would see. Instead, each morning as the group gathered to pray, I would quietly say the words of the Kaddish for him. My grandfather, who was supposed to take me to a land he loved but didn’t live in. We walked up to the Kotel. I touched the stones. I put my head against the Wall and for reasons I can never understand, I began to cry. Then, I began to sob. Friends I had just met held me and we cried together. I was a Conservative Jew and I came to that holy place and prayed with all my heart. I am an Orthodox Jew, a mother, a grandmother and when I go there now, I pray with all my heart. My prayers are directed to God and have nothing to do with the people who stand on either side of me. I have come to learn that the Western Wall is not mine. I have to share it with others. Others who come to pray, to cry, to touch. And apparently how it is divided has become a major issue today in the Jewish world, so I’d like to offer my views here. Many people are complaining today about a government ruling that canceled some construction plans. I’m not sure if or when Chemi Shalev (left wing journalist of the anti-Israel site, Haaretz) ever visited the Kotel, but he chimed on with the absurd heading that N etanyahu was telling American Jews to drop dead (yeah, seriously, that’s what the idiot wrote). The Times of Israel, caught in a tragic slide downhill and to the left, chimed in with mediocre and inaccurate reporting that helped fan flames…no matter that the reporter failed to present the picture accurately or honestly. What this comes down to is not changing the area where people already pray, but rather, not building a “pluralistic pavilion” because it seems without a pavillion, some Jews can’t pray properly. Me? I need a quiet corner, nothing more. Me and God, we talk a lot. Okay, I talk. I’m really hoping God listens. But after learning more about this, I’ve decided that those who brought up this issue have a point. I thought the Kotel was divided into two parts – men and women, and not even equally. Truthfully, the men do have a larger area than the women (the “excuse” being that night and day, around the clock, thousands more men than women come to pray). Two sections…not even divided fairly. This is wrong. The Kotel belongs to the Jewish people – that’s what countless people have written today on Facebook and in Jewish media. The Reform, the Conservatives, the Jewish Agency – up in arms. The Kotel must be shared. It is a Jewish site…and I agree. And a bit further to the right, is a large area that is designated for mixed prayers – men and women. Currently, they have these very nice umbrellas to help shade them from the sun – that’s more than the men’s section or the women’s section has. Israel should either build umbrellas in the main plaza area, or take those umbrellas down. Unfair! And the fourth section is the largest of all. It extends from the end of the men’s section almost clear across to the end of the Old City – on the left side. It is currently being used, unfairly, by the Arabs. They’ve built buildings against it, even bathrooms. I propose that we clear away the full length of the Western Wall, property of the Jewish people, and divide it in three equal parts – men, women, and mixed men and women. And I propose that no “pluralistic pavilion” be built unless we are also going to build a non-pluralistic pavilion for the men and another non-pluralistic pavilion for the women. And I propose that those people who think that what happened today was not a ploy by the media, to look carefully. No status quo was changed, no injustice was voted in. The government had a plan, a future plan, and they canceled it. Which is pretty much something the government does nearly every day of the week. I think Haaretz should either be shut down, or forced to apologize for spreading lies about what Netanyahu said or meant; and I think the Jewish Agency should apologize for playing politics of its own. And me, I’m going to my Kotel soon and I’m going to apologize for all those who have yet to realize that the Kotel SHOULD be returned to the Jewish people…and more, it’s time that we reclaim what is rightfully ours. The Temple Mount is the holiest place to the Jewish people, NOT the Kotel. It is time that there, we have equal rights. If Arabs can pray on the Temple Mount, Jews should be allowed as well. The area on top should be divided equally. And now that American Jewry has awakened to the truth of how holy this area is, now that they are demanding their equal share, I am hopeful they will put out a call demanding equal rights on the Temple Mount, demanding a share of that area. I am hopeful the Jewish Agency will cancel all programs except that one – the most important one…the one where we work to share equally in the holiness of Israel. 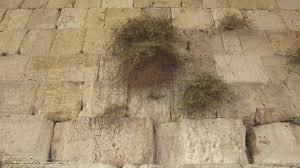 Did you ever ask Torah observant women who pray at the Kosel why they feel so strongly against adding a mixed section? I always tell people before they judge the actions of others to ask why? Why do women at the wall prefer not to change the status quo? You may learn a lot about the sincerity of these women. I prayed at the Kosel. It was spiritually uplifting. I did not feel a need to daven with men. If you feel so strongly about davening with men go right ahead. No one is stopping you, just not at a holy site. Michael, it’s a tourist attraction. How many locals, other than immigrant women from mostly Anglo countries, and a few token Israeli natives, will actually feel the need to pray there? It’s nothing more than an appeasement.